This is a scarce piece! 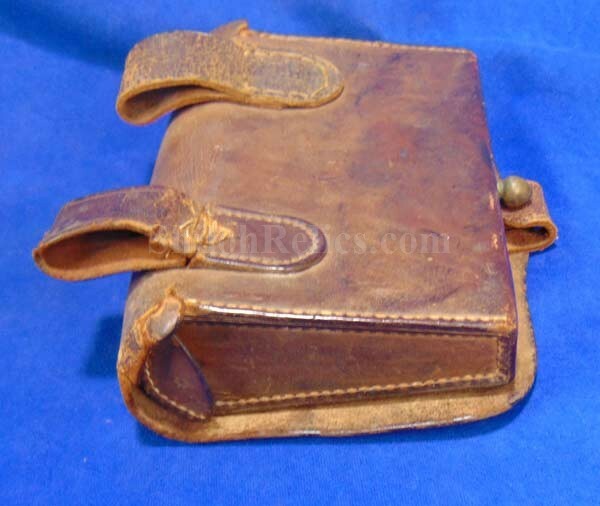 It is the Civil War era cannon gunner’s tube leather pouch. 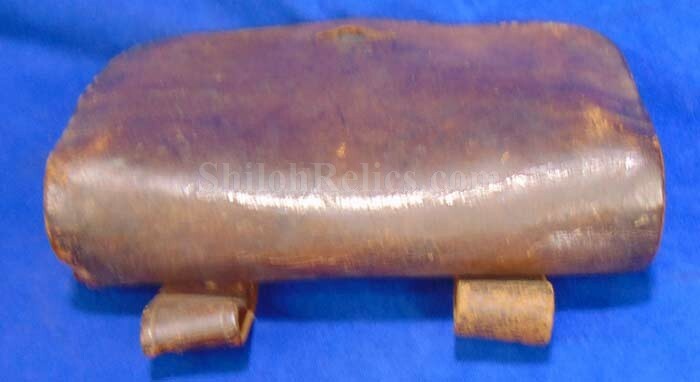 This piece is illustrated on page #224 of the book Artillery and Ammunition of the Civil War by Ripley. The box itself is about 7 by 5 inches in size. 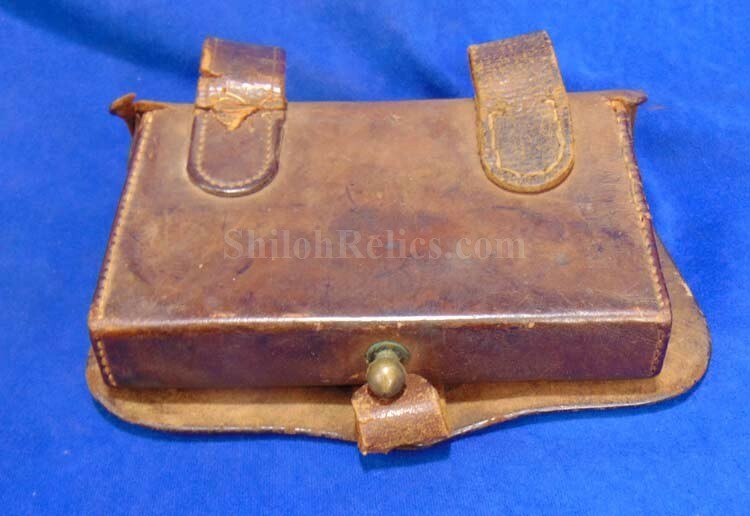 It was designed to hold the friction primer tubes for firing the cannon as well as the lanyard. 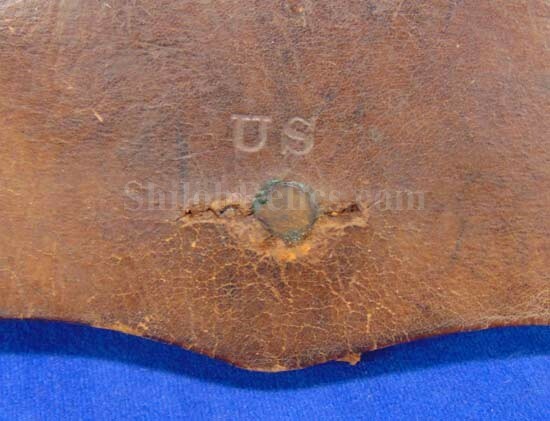 This one has the outer flap that is marked "US”. 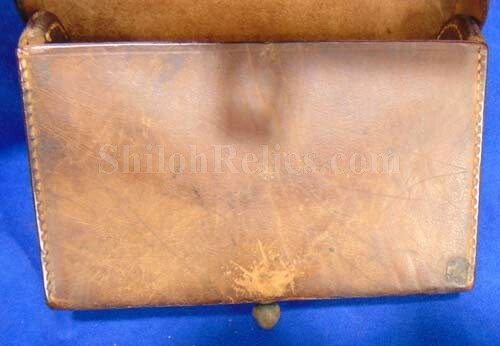 It has the brass finial present as is the original closure tab as you can see in the pics. 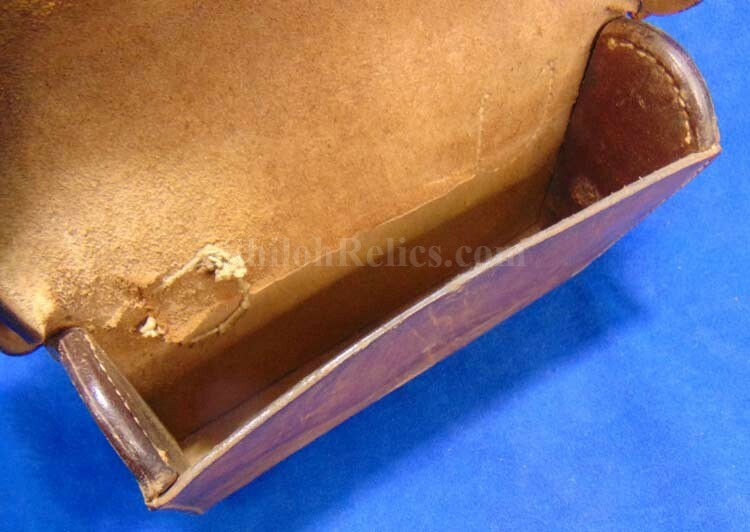 When you open the outer flap it has the inner flap nicely intact with one of the original two tabs present on the side. 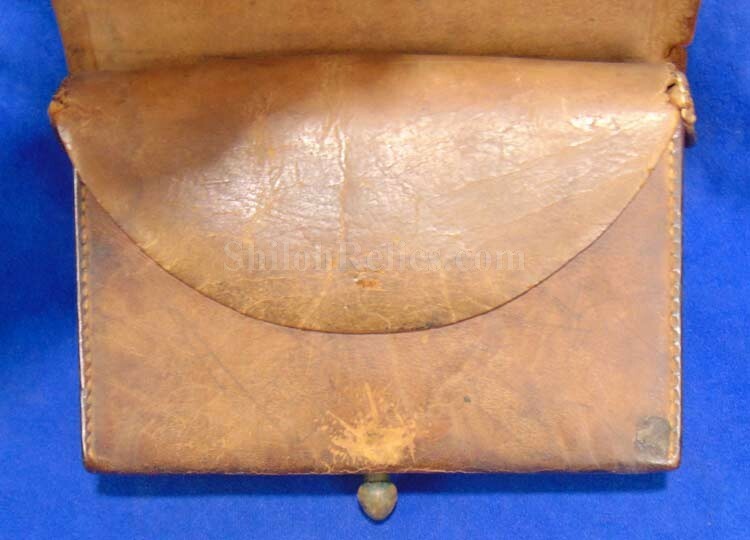 The back of the pouch has both of the original belt loops intact. 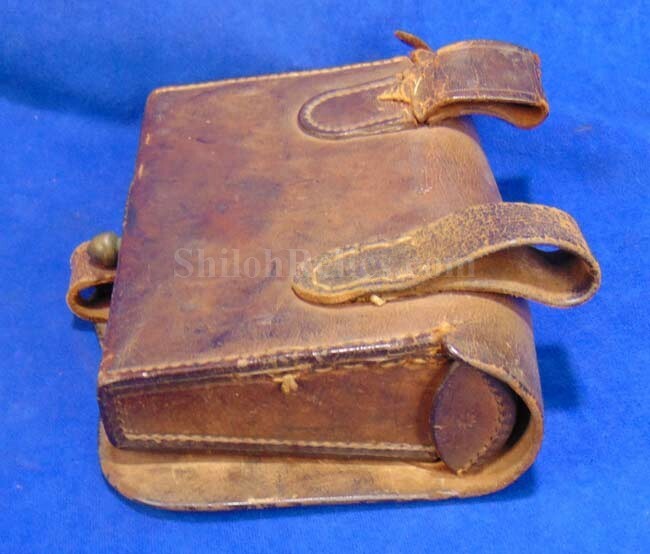 This wonderful artifact has a gorgeous brown tone to the leather that makes it display superbly. 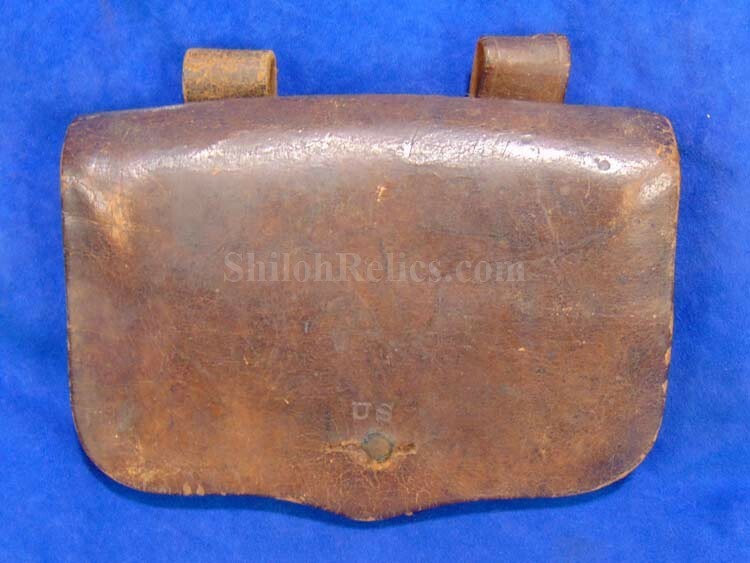 This is a very attractive and scarce gunners pouch from a Civil War artilleryman.